hi my recorder has stopped recording and i cant watch anything i have taped has the hard drive gone . I can only set 11 programmes before it says "Timers are scheduled". The bar shows 188.34hrs. remaining, so why can I not record more programmes? All buttons pressed just brings a camera on to the screen any ideas ? On tv screen. Indicates. Weak or no signal. Have checked aerial direct to tv. All seems ok ? I have Just purchased a Goodman'gd11fvrsd50 trying to Record when "R" is pressed says "Recorder Device Initializing"
All problems on this page have been submitted and answered by users. 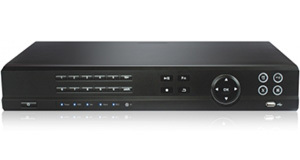 If you have a problem with the Goodmans GD11FVRSD50 DVB-T, please submit it below and we'll post it here. Problem: hi my recorder has stopped recording and i cant watch anything i have taped has the hard drive gone . Problem: I can only set 11 programmes before it says "Timers are scheduled". The bar shows 188.34hrs. remaining, so why can I not record more programmes? Problem: All buttons pressed just brings a camera on to the screen any ideas ? Problem: I have Just purchased a Goodman'gd11fvrsd50 trying to Record when "R" is pressed says "Recorder Device Initializing"